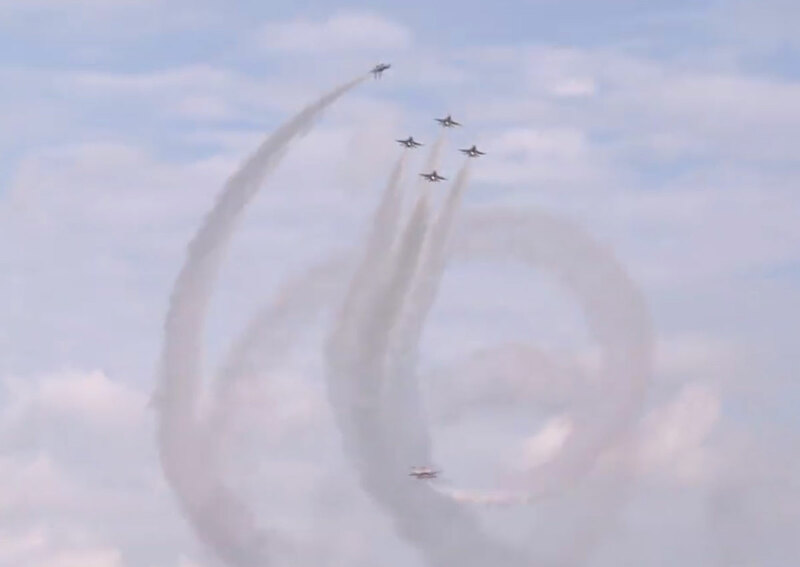 Black Knights executing a synchronised 360-roll in a diamond formation - called a Twinkle Roll. 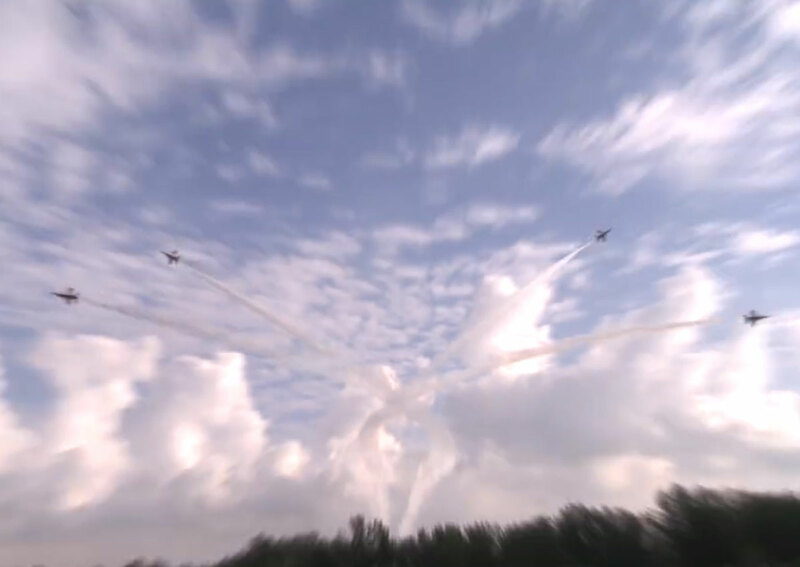 SINGAPORE - Singapore skies will be filled with contrails and thundering sounds this jubilee weekend, as the Republic of Singapore Airforce (RSAF) aerobatics team takes to the skies for a special performance. 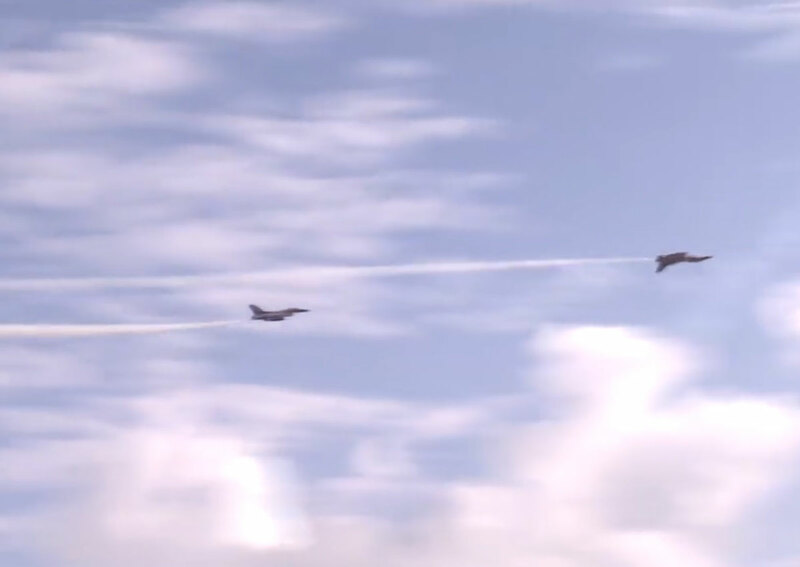 These special shows by the Black Knights will take place daily at 12 pm from Aug 7 to 9, Defence Minister Dr Ng Eng Hen revealed Monday (Aug 3) on his Facebook page, together with a sneak preview showing the finesse of the Black Knights. 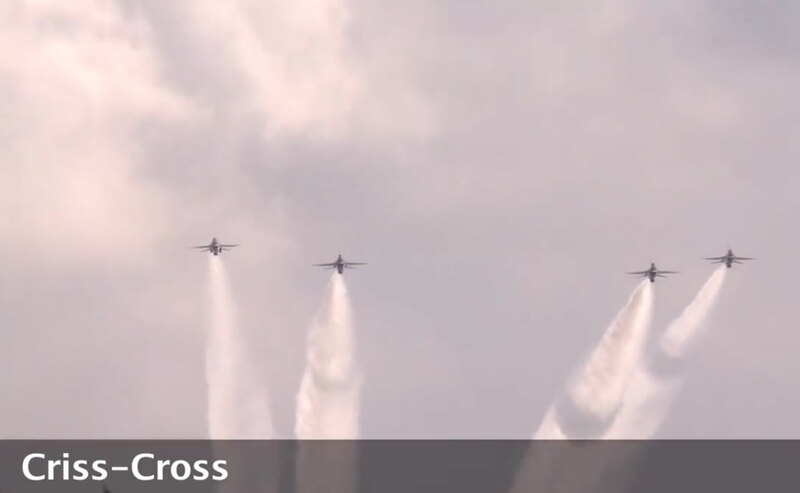 "The awesome aerial display we see from the ground required many hours of training and preparation, and for the pilots to be in top physical form to do their precision flying and withstand high G-forces," Dr Ng wrote. 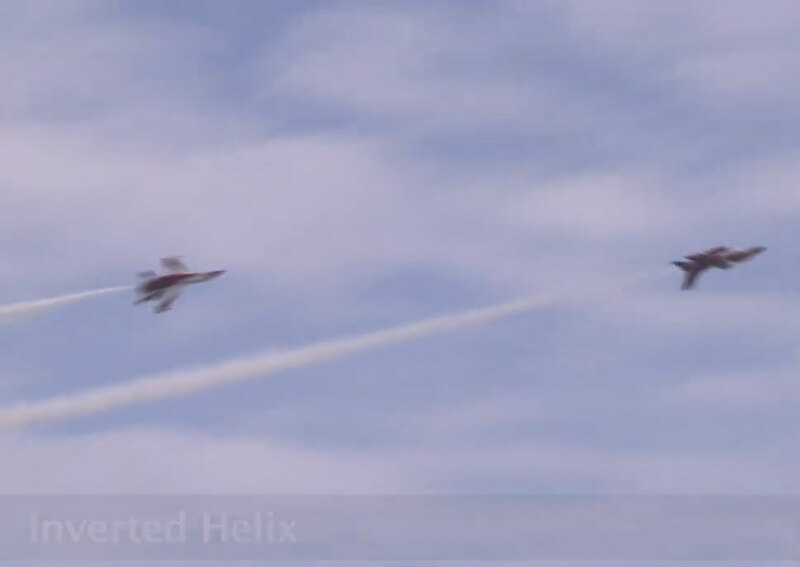 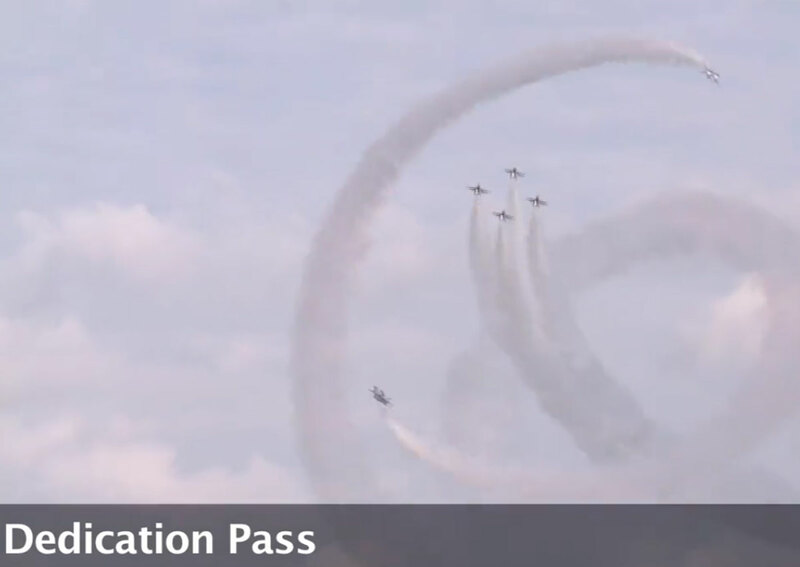 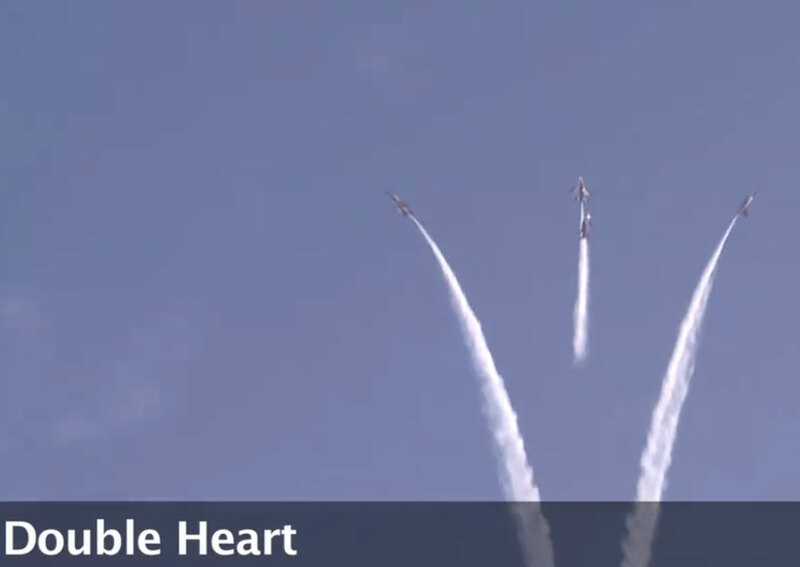 Some of the aerial displays include the 'Opening Curtain' involving six jets accelerating upwards followed by a steep drop fanning outwards, and the 'Double Heart', where four jets perform turns to create two heart-shapes with their contrails. 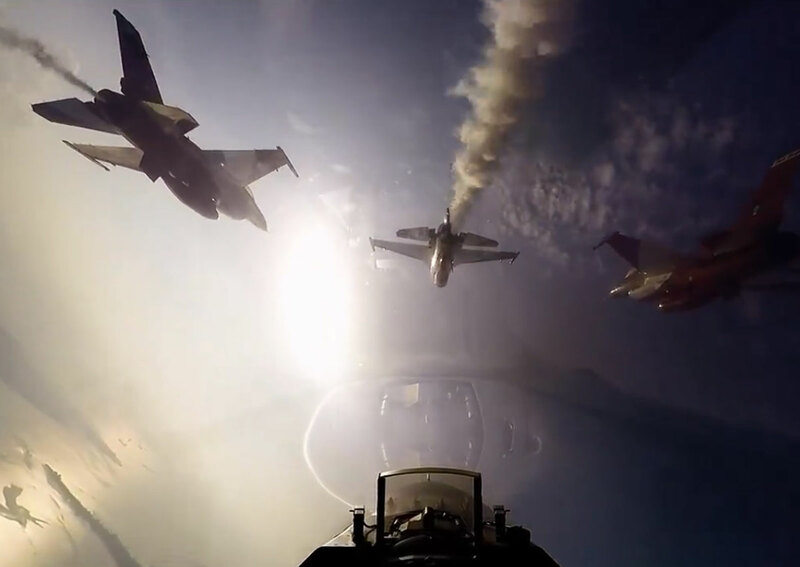 but the view from the cockpit is even better. 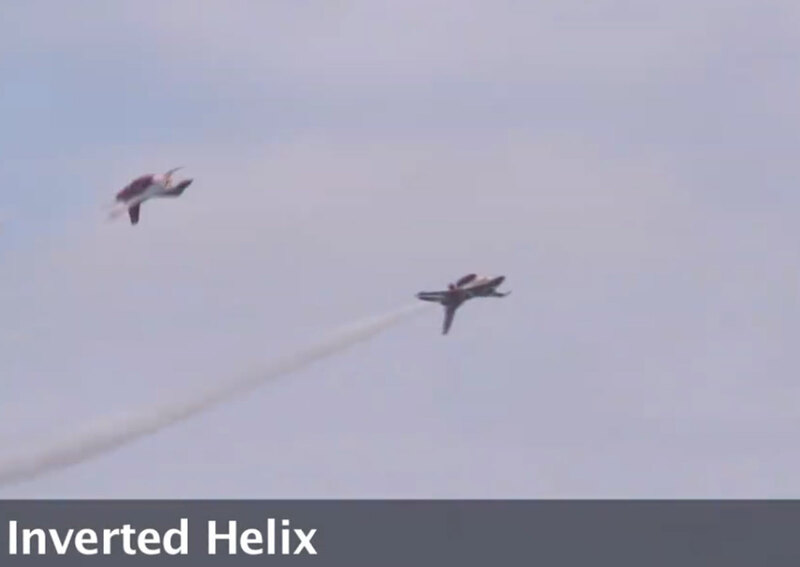 - called a Twinkle Roll. 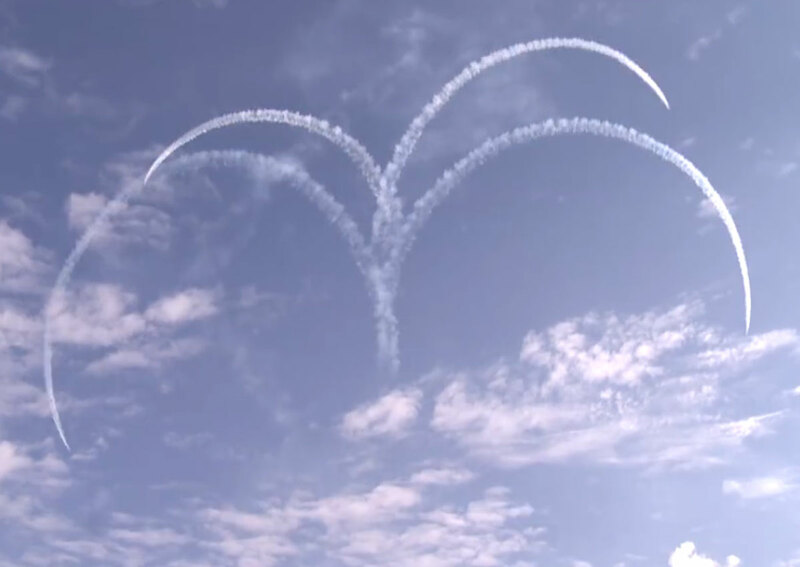 - to mark Singapore's Golden Jubilee. 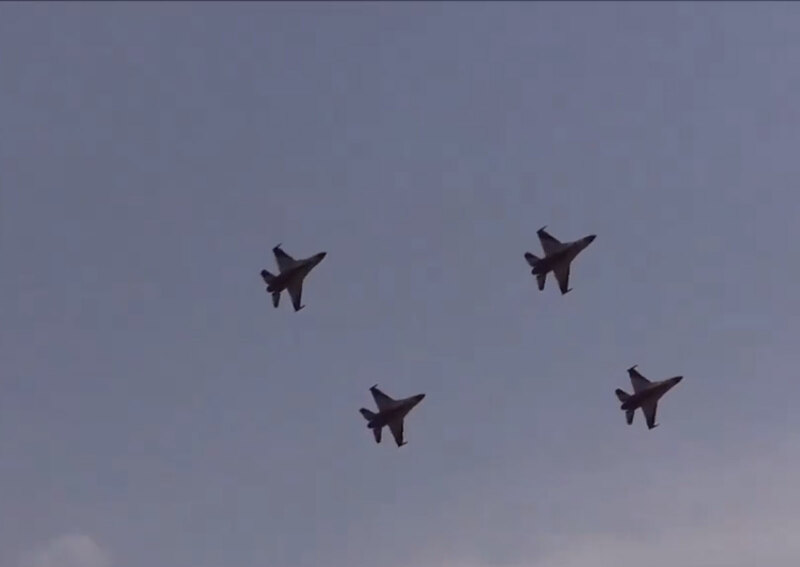 There will also be an unprecedented "50" formation, comprising 20 F-16s. 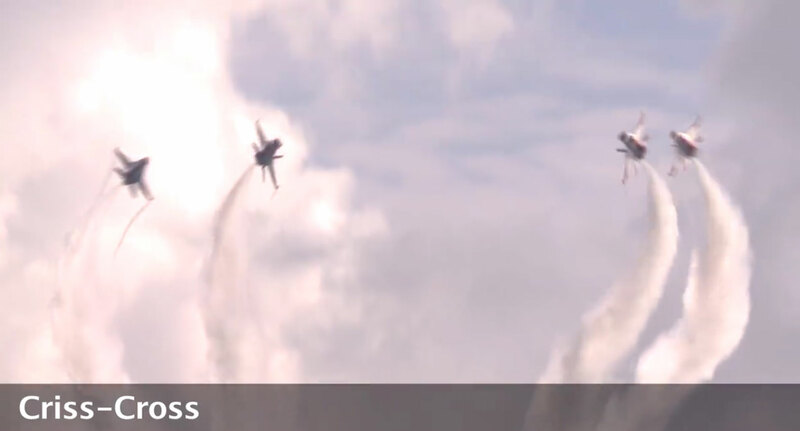 The Black Knights team will then perform the perennial crowd-pleasers - the "Criss Cross" manoeuvre with smoke trails using four jets - followed by two Black Knights executing a near-vertical climb. 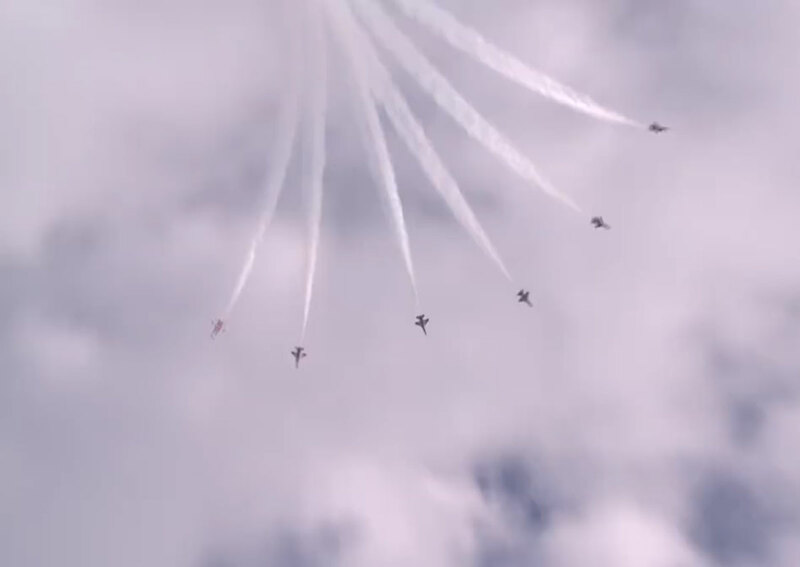 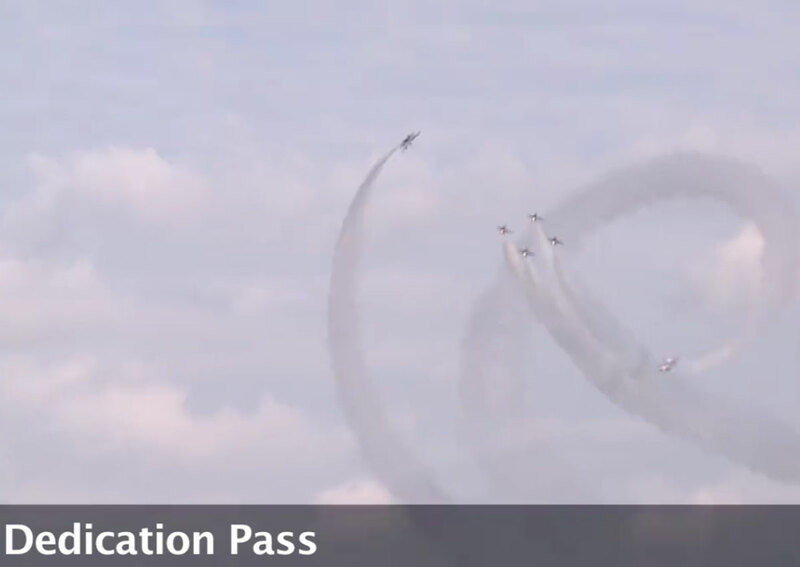 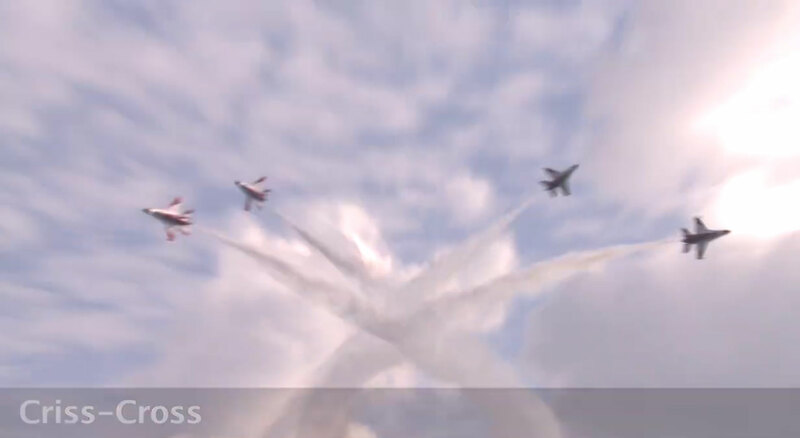 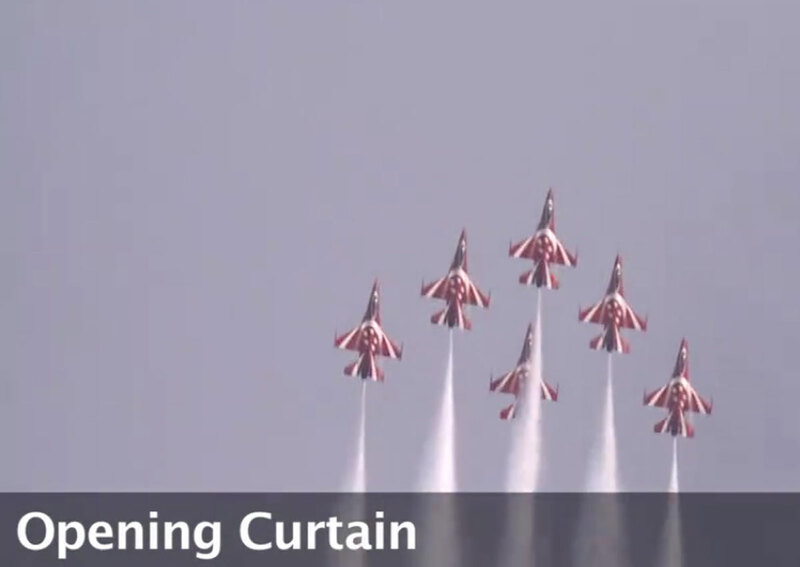 as the Republic of Singapore Airforce (RSAF) aerobatics team takes to the skies for a special performance. 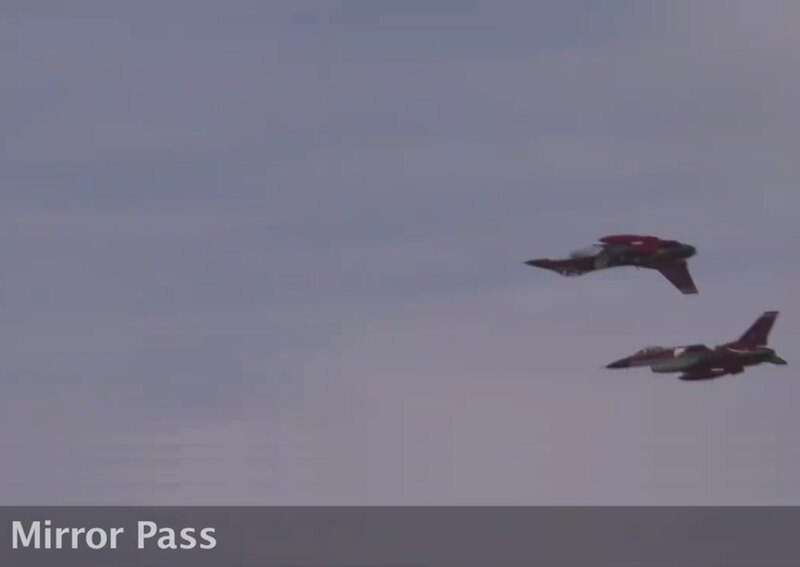 together with a sneak preview showing the finesse of the Black Knights. 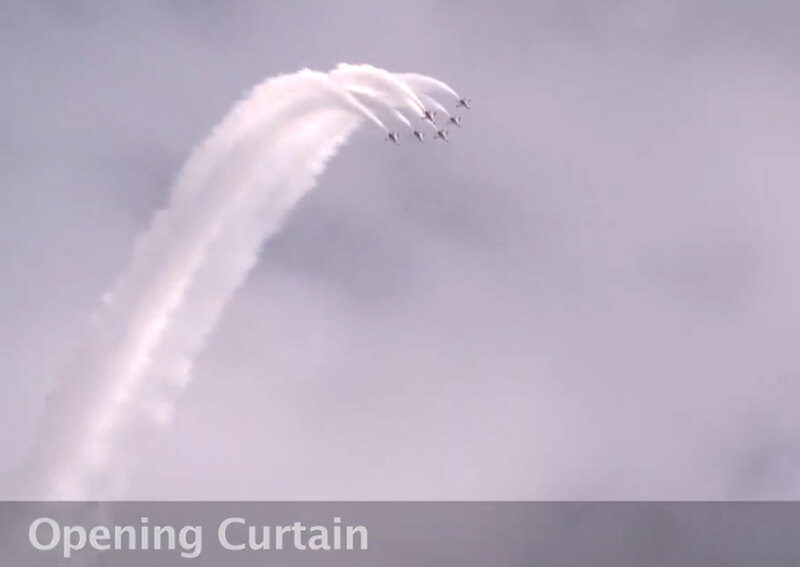 Some of the aerial displays include the 'Opening Curtain' involving six jets accelerating upwards followed by a steep drop fanning outwards. 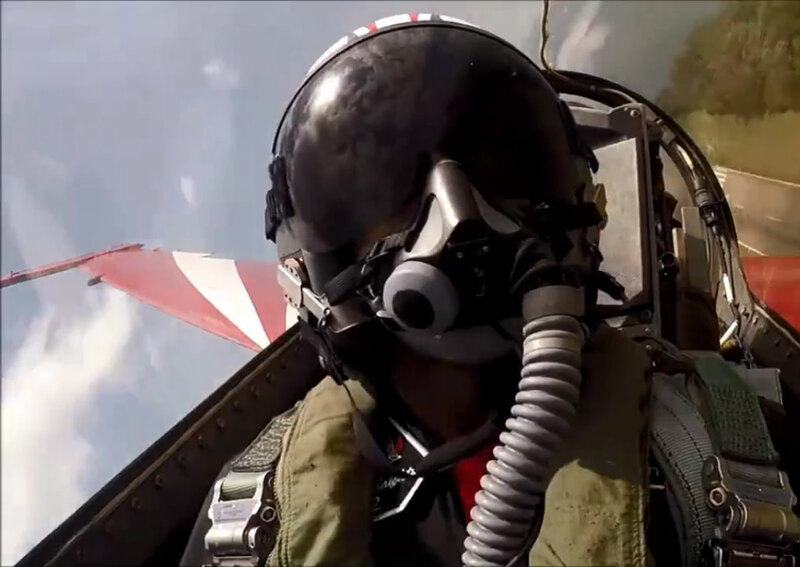 In this photo, the Mirror Pass is executed. 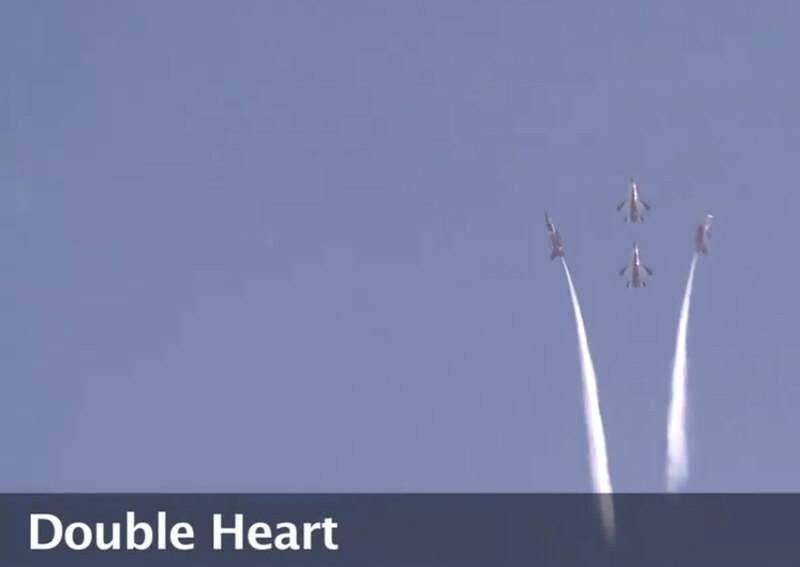 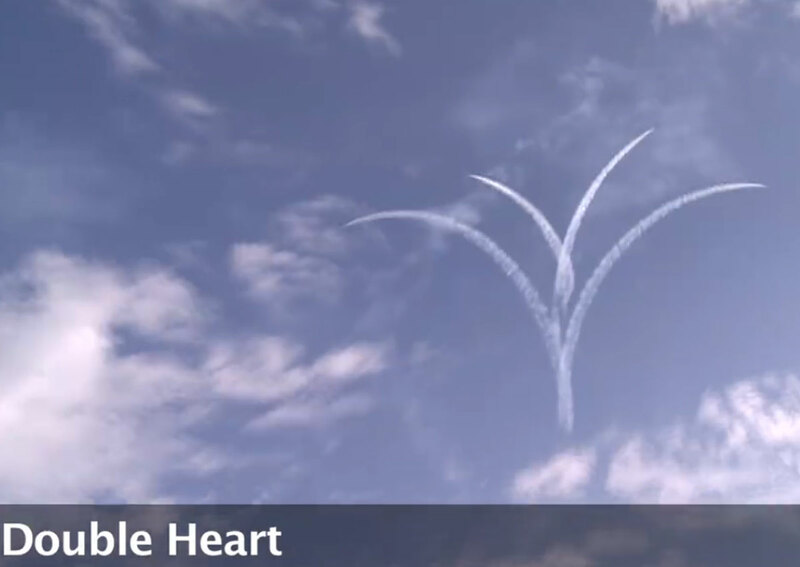 the 'Double Heart', where four jets perform turns to create two heart-shapes with their contrails. 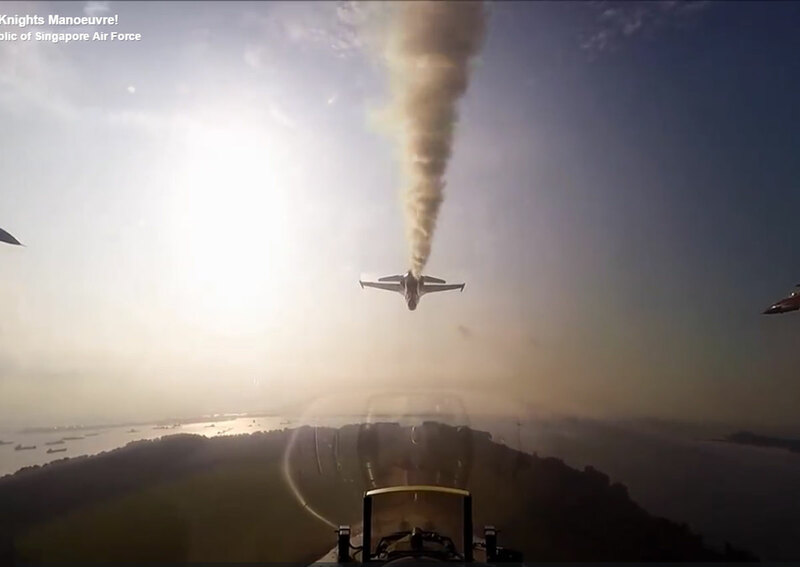 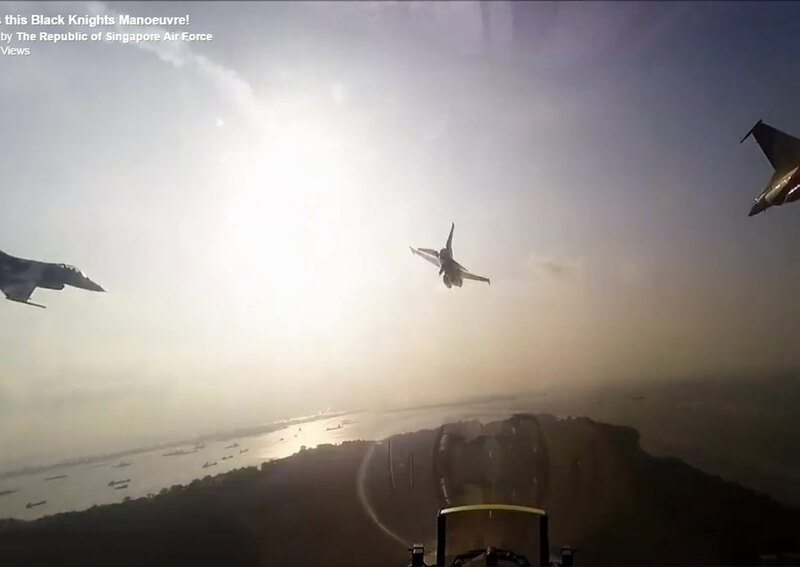 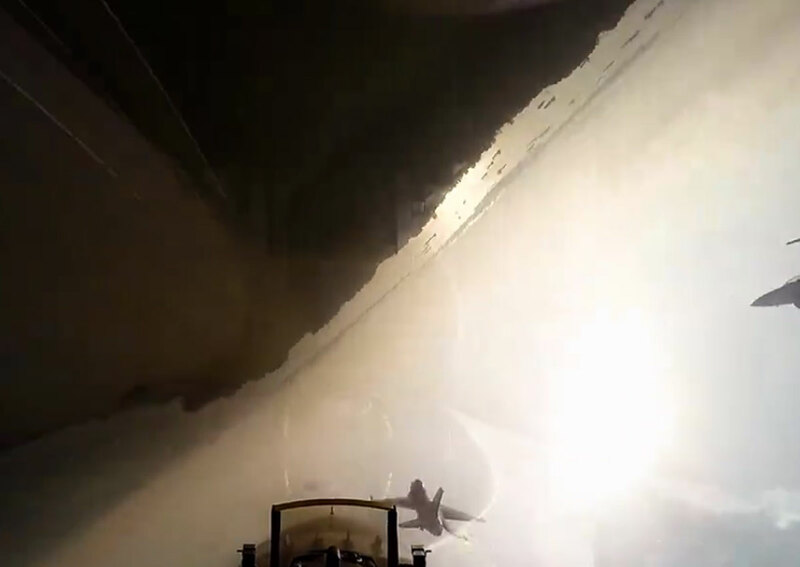 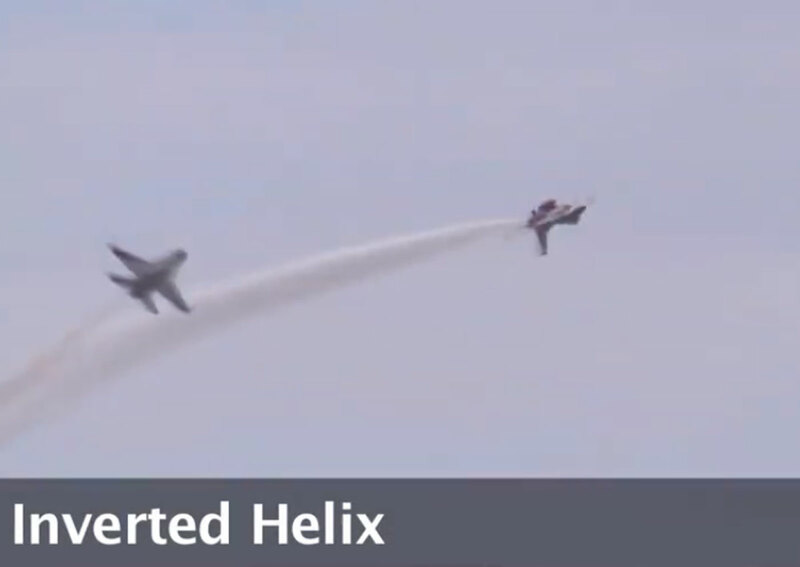 These daredevil stunts by the RSAF aerobatics team look amazing from the ground, but the view from the cockpit is even better. 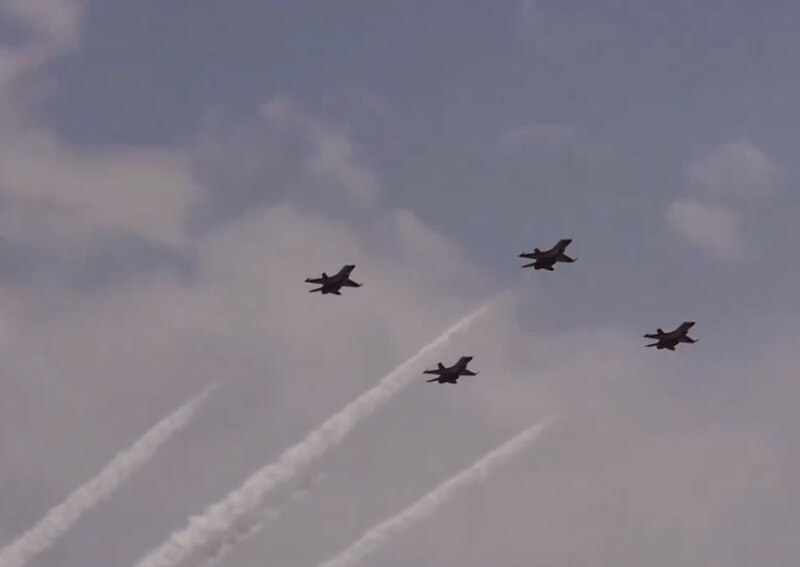 The RSAF released a video on Saturday showing four Black Knights executing a synchronised 360-roll in a diamond formation - called a Twinkle Roll. 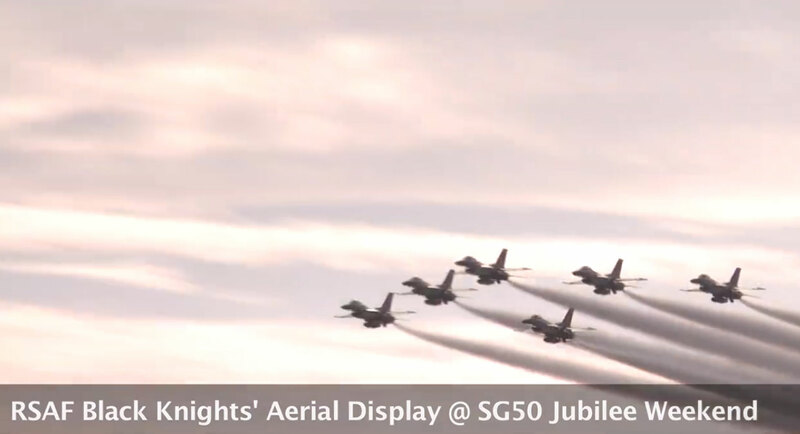 A total of 50 aircraft will take part in this year's National Day Parade - to mark Singapore's Golden Jubilee. 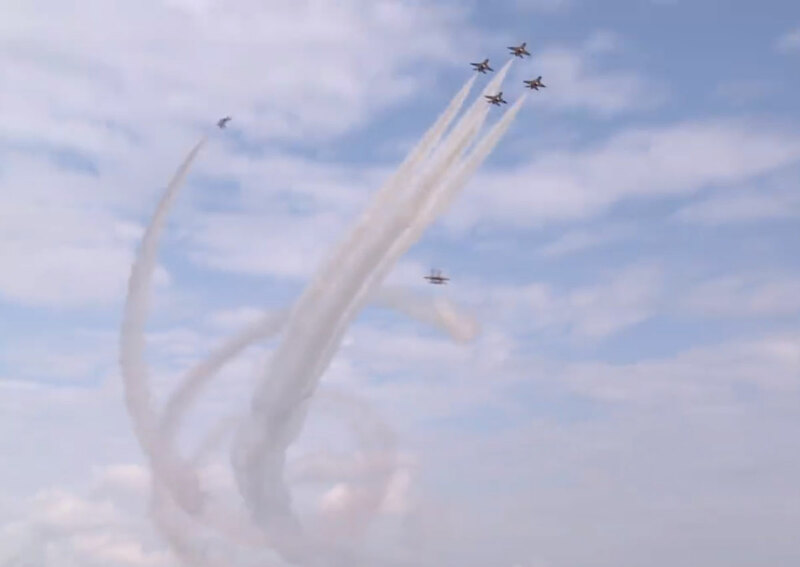 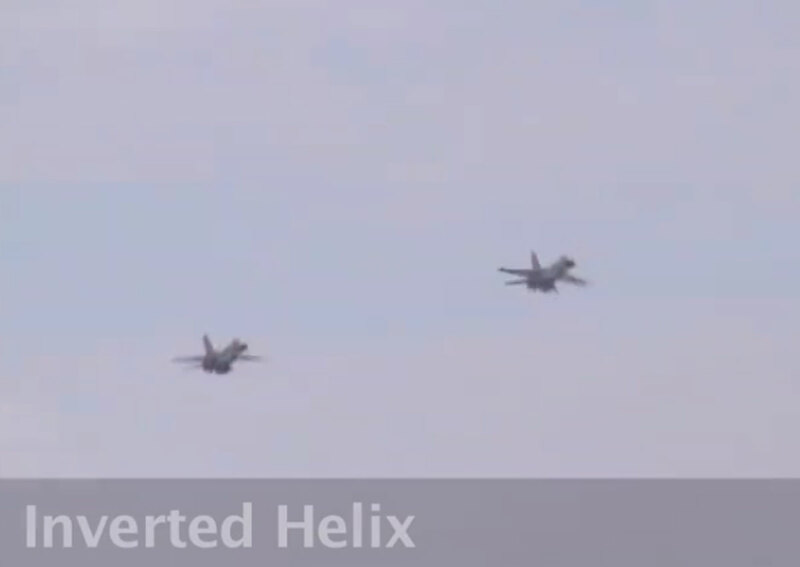 Some of the gravity-defying stunts that will be executed during NDP 2015 aerial display segment include the "Five Stars" Tribute Aerial Flypast to remember the late Mr Lee Kuan Yew, and an unprecedented "50" formation, comprising 20 F-16s. 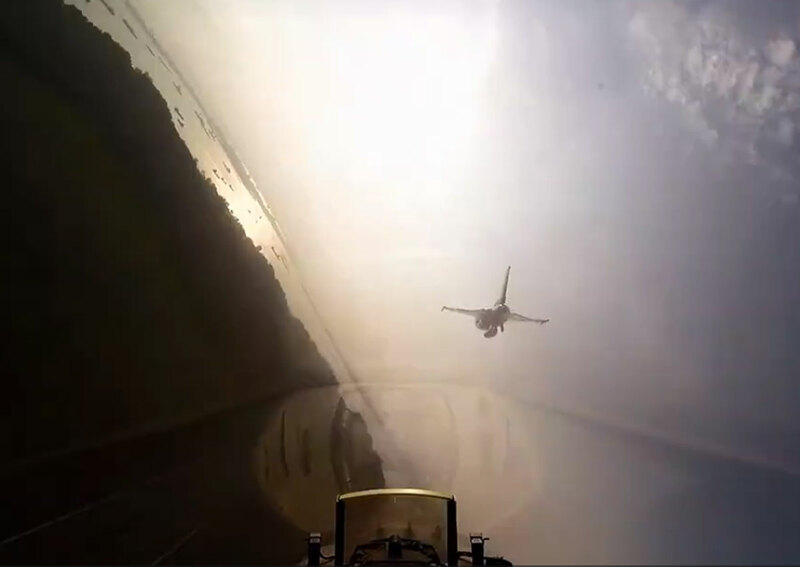 Guess this Black Knights Manoeuvre! 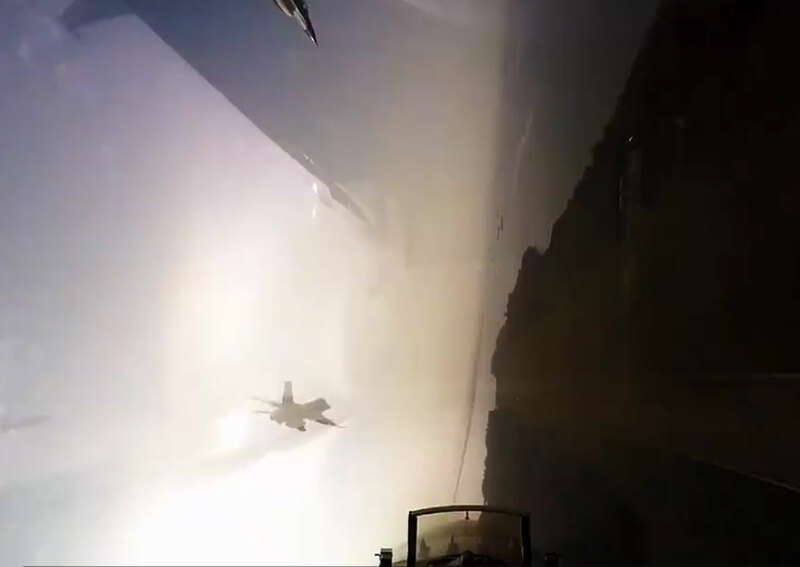 This might be a familiar scene to many of you Black Knights fans who have been catching them in action since the 1990s. 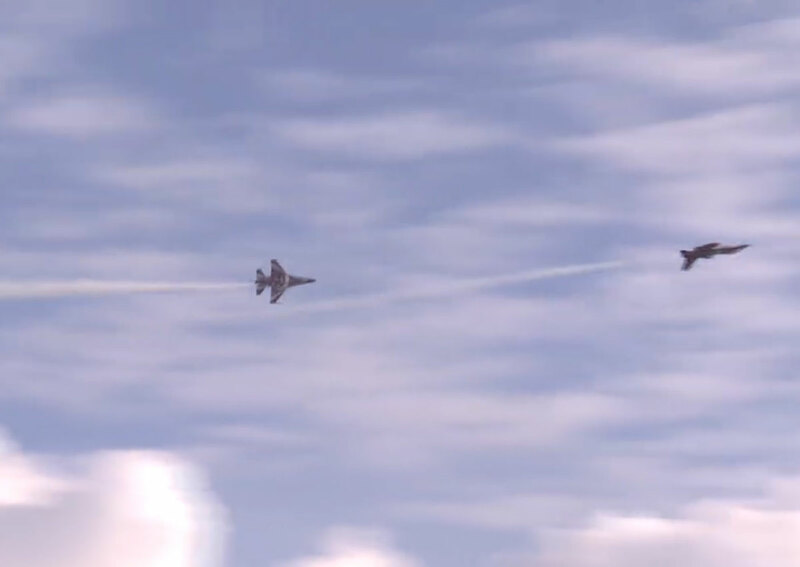 Check out this exclusive footage of our Black Knight 1 to 4 executing a synchronised 360-roll in a diamond formation! 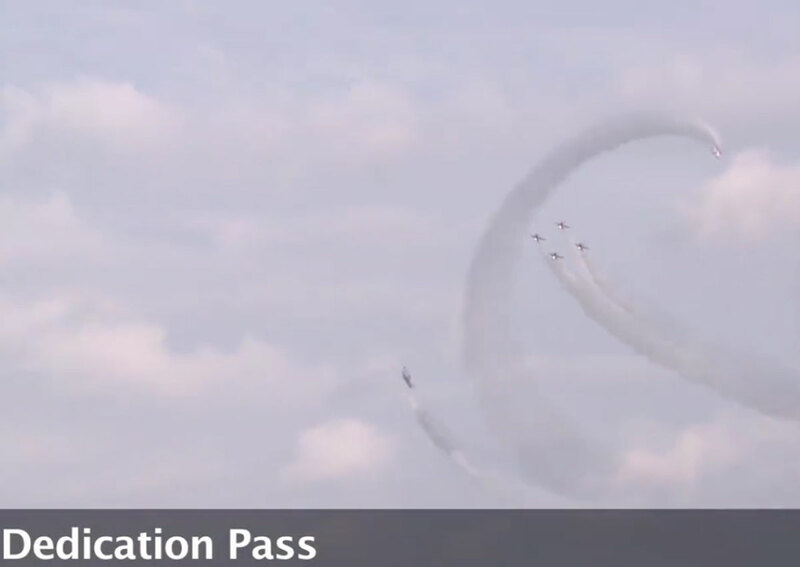 Can you guess the name of the manoeuvre?Come celebrate Singapore50 with us at Marina South, 12 noon daily from 7 to 9 August! 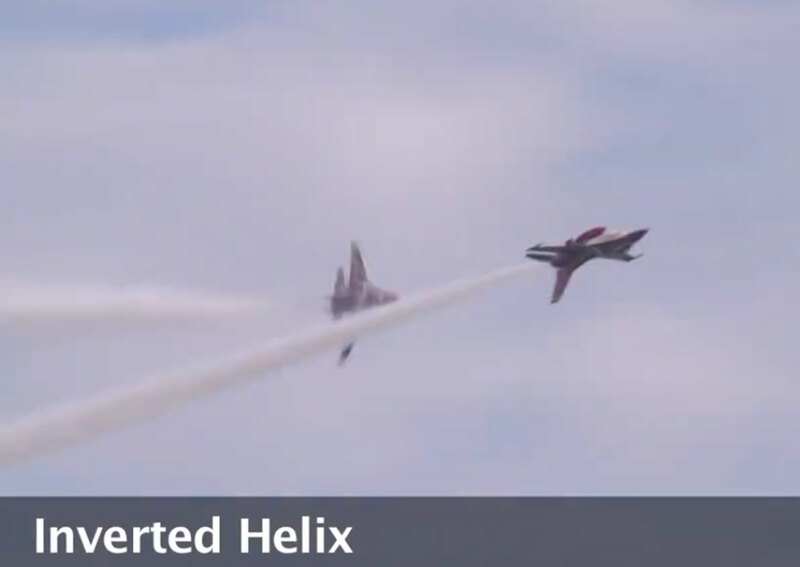 More info at https://goo.gl/4qKvE9! 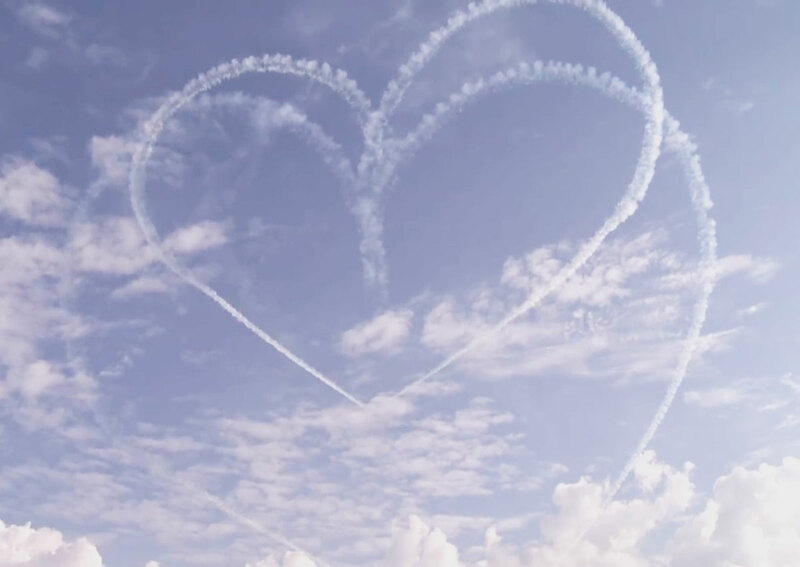 Like and Share away!